netfires1718 has no other items for sale. Bought this small scope knowing its limitations, but wanted something quick to grab and set up for some moon viewing and brighter magnitude objects .with that said (1) This scopes short comings are the finder scope (scrap it) and get a telrad and mount it on instead. (2) The eyepieces are no good invest a few dollars and get a good 25mm or what ever you want in a possel eyepiece. (make sure you collimate your scope first no exceptions or you will be disappointed . (ENJOY GOOD VIEWING). My husband loves it. It was very easy to put together and it Is small enough to store in the corner. 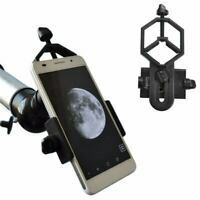 This telescope is hard to focus on smaller objects and takes time to focus on larger objects. The time it takes to focus on an object removes the desire to use the scope.